I recently helped a modern dancer who was experiencing bunion pain whenever she danced barefoot — which was all the time. Although her bunions were significantly enlarged, she was pain free as long as she wore shoes. 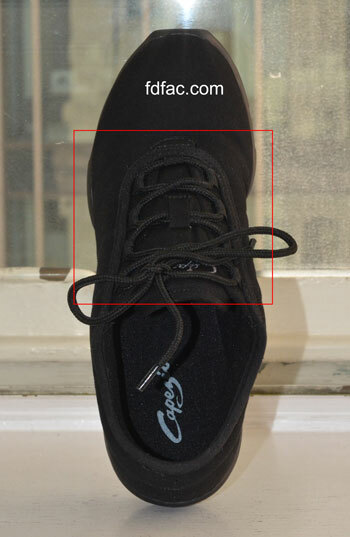 The solution was to find her an appropriate shoe to dance in — finding dance shoes which can accommodate a wide foot with a bunion can be challenging, but Capezio’s Canvas Dance Sneaker does just that. The upper is canvas, which — in addition to being lightweight and breathable — expands in the area of the bunion allowing for better fit. Lacing to the forefoot also allows for adjustments, an important feature for the wide forefoot. 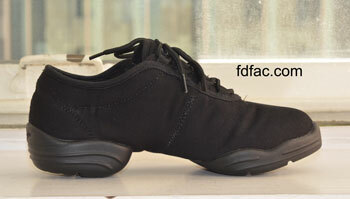 This shoe also provides structure, which helps with alignment and promotes better function and less pain at the bunion site. Lastly, the thick, cushioned, forefoot and heel provide excellent shock absorption for not only the feet but the lower extremities in general.